The 209 bentwood chair with armrests by the Thonet brothers was put on the market in 1900 and is a variation of the famous Café House Chair 214 designed in 1859 by Michael Thonet, the inventor of bentwood technology. Unlike the 214 chair, the 209 model has a wide arch that functions as a backrest and armrests at the same time, offering even more comfort. The chair with armrests is made from solid beech that is bent with the help of steam and consists of 6 parts - like the 214 chair. The seat surface is optionally covered with wickerwork, leather or fabric. It is recommended that the cane work be supported with sturdy synthetic mesh if the chair will be subjected to heavy weight. The Swiss architect Le Corbusier was a fan of the 209 Chair by Thonet and used them to furnish his buildings. Today still, the classic chairs from from bentwood can be found in many apartments and cafés, where thanks to its high-quality processing, they offer style and comfort in equal measure. 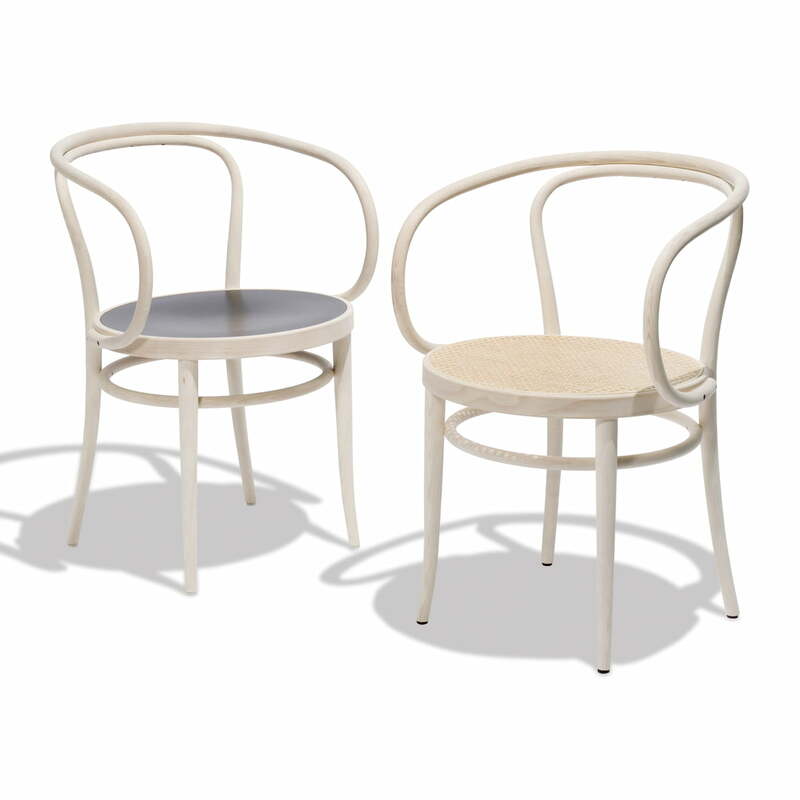 Isolated product image of the 209 bentwood chair by Thonet our of natural beech (TP 17) with wickerwork. 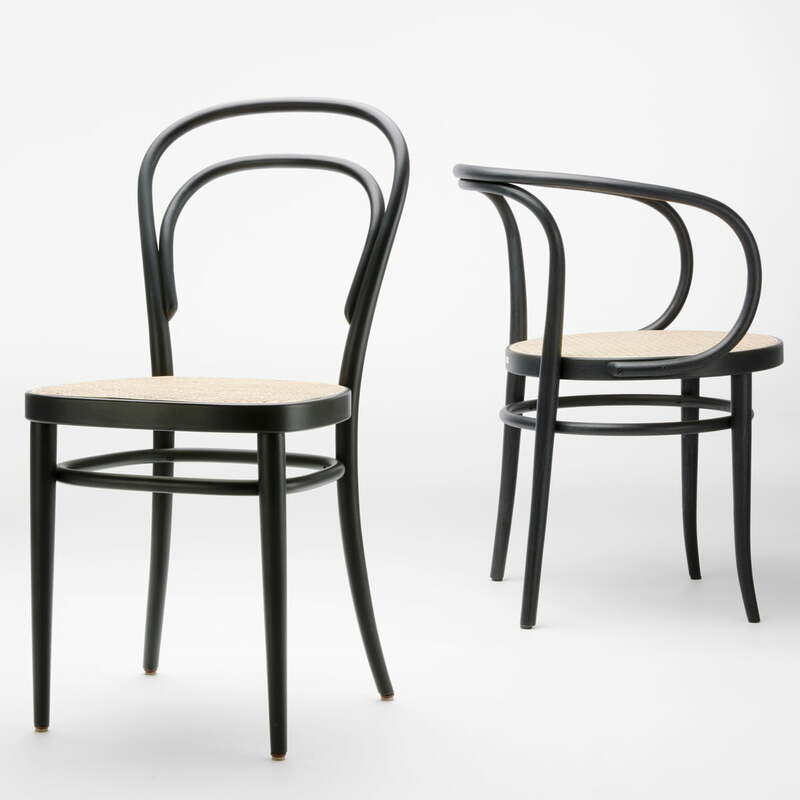 The 209 chair was designed by the Thonet brothers. 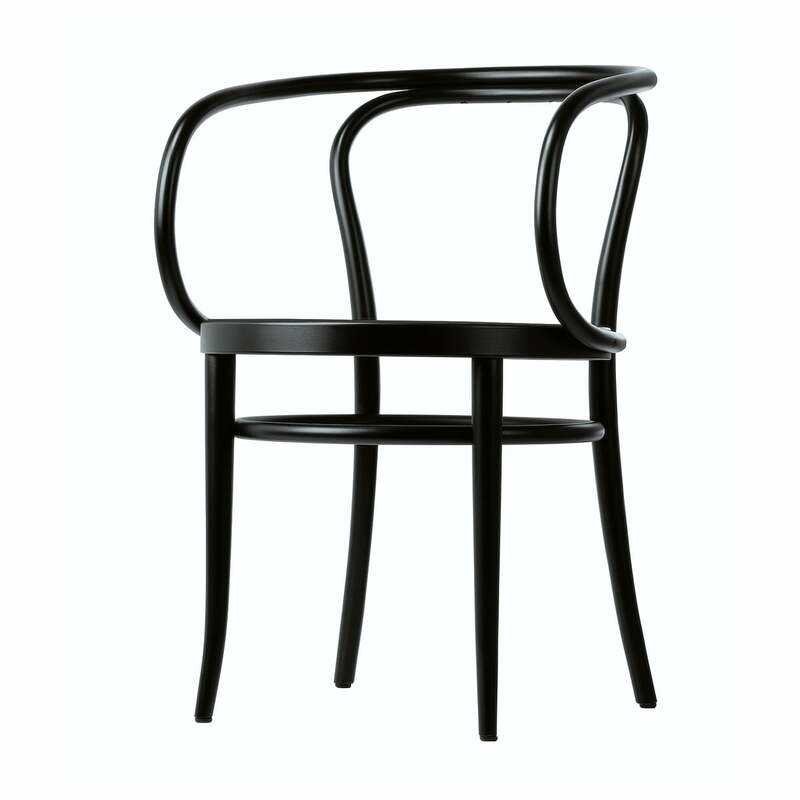 Isolated product iamge of the 209 bentwood chair by Thonet from from black stained beech (TP 29). The 209 chair with cane work is bent with steam and consists of 6 parts, like the 214 chair. The 209 bentwood chair with armrests by the Thonet brothers was put on the market in 1900 and is a variation of the famous Café House Chair 214 designed in 1859 by Michael Thonet, the inventor of bentwood technology. 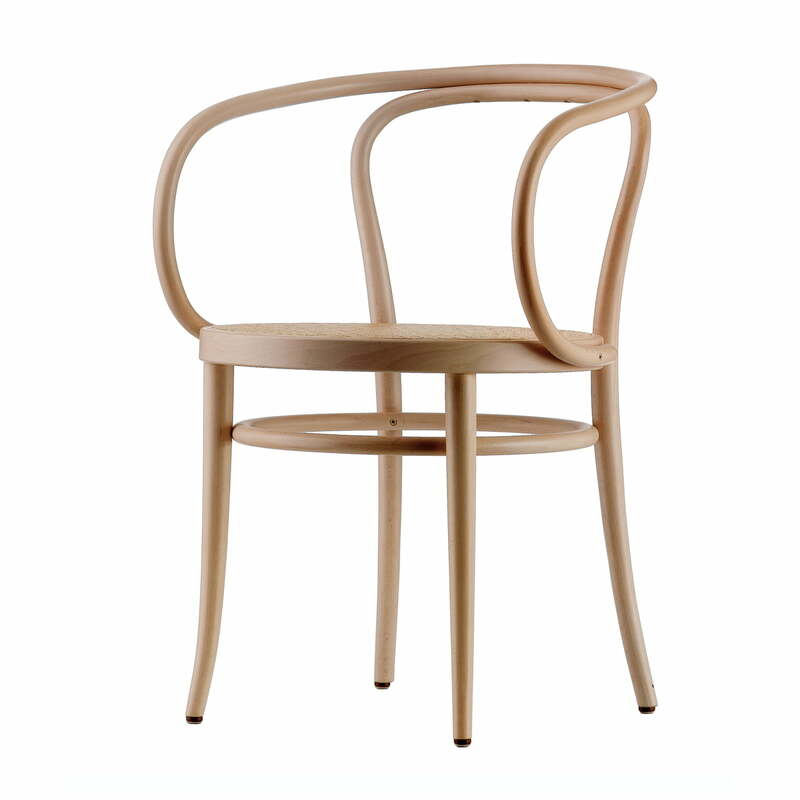 Group product image of the 209 bentwood chair by Thonet made from beechwood. The seat surface of the chair with armrests is optionally covered with wickerwork, leather or fabric. In contrast to the 214 Coffee House Chair by Michael Thonet, the 2019 bentwood chair by the Thonet brothers has a wide arch that acts as a backrest and armrest at the same time. 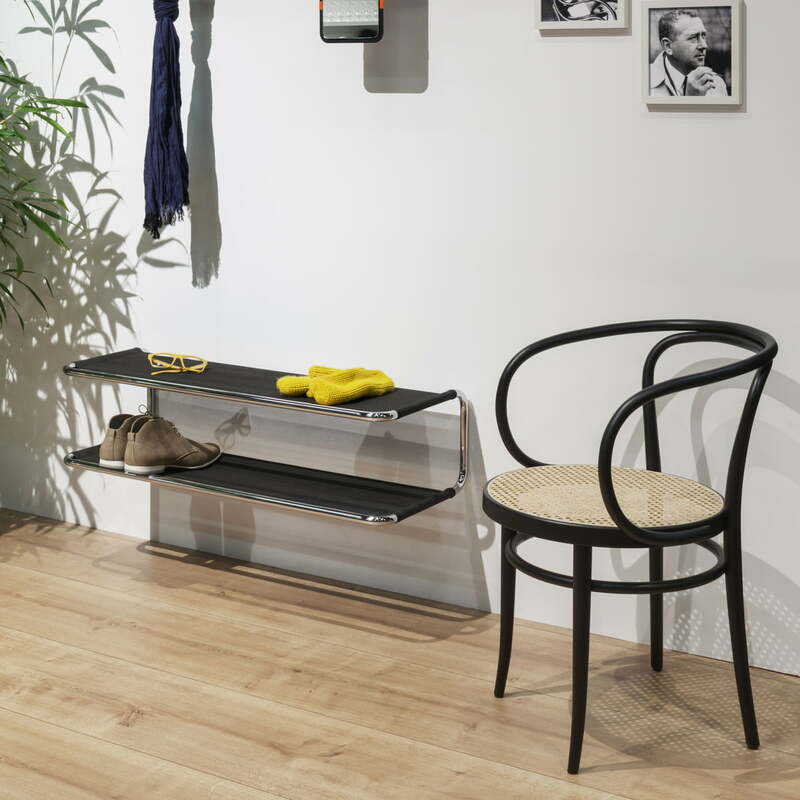 The 209 bentwood chair and S 1521 wall coat rack by Thonet fit into different environments with their timeless aura and are wonderfully combined together in the entrance area. 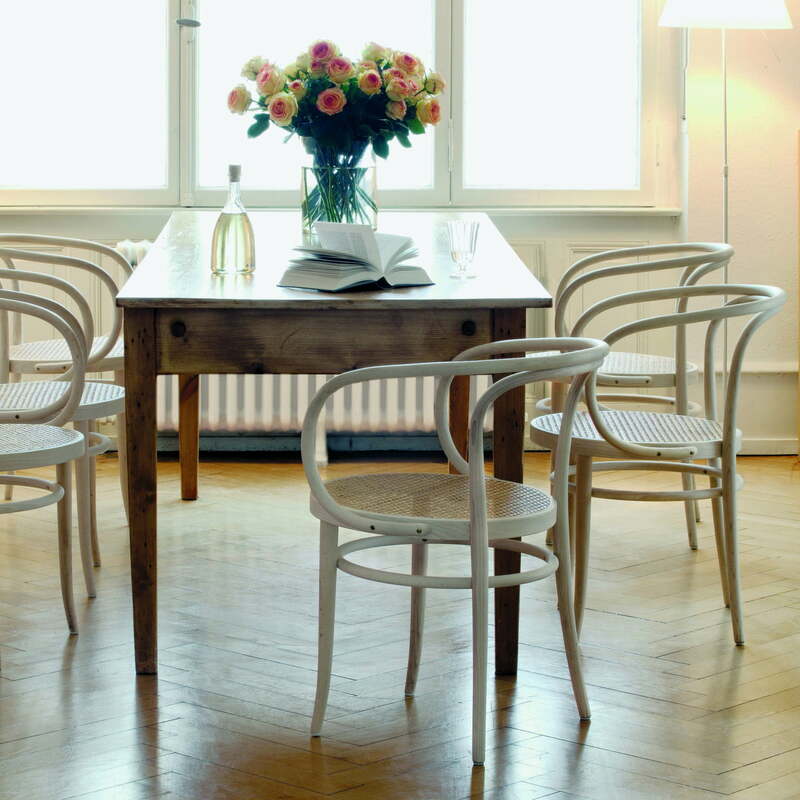 Lifestyle product image of the 209 bentwood chair by Thonet. 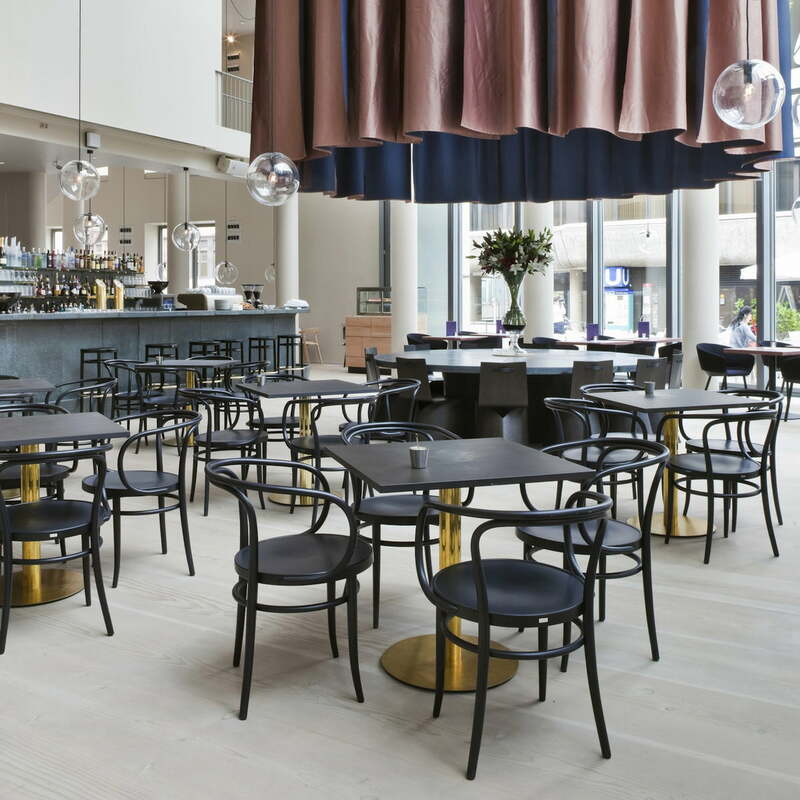 The 209 classic beech chair becomes an eye-catcher in public establishments such as cafés and hotels. 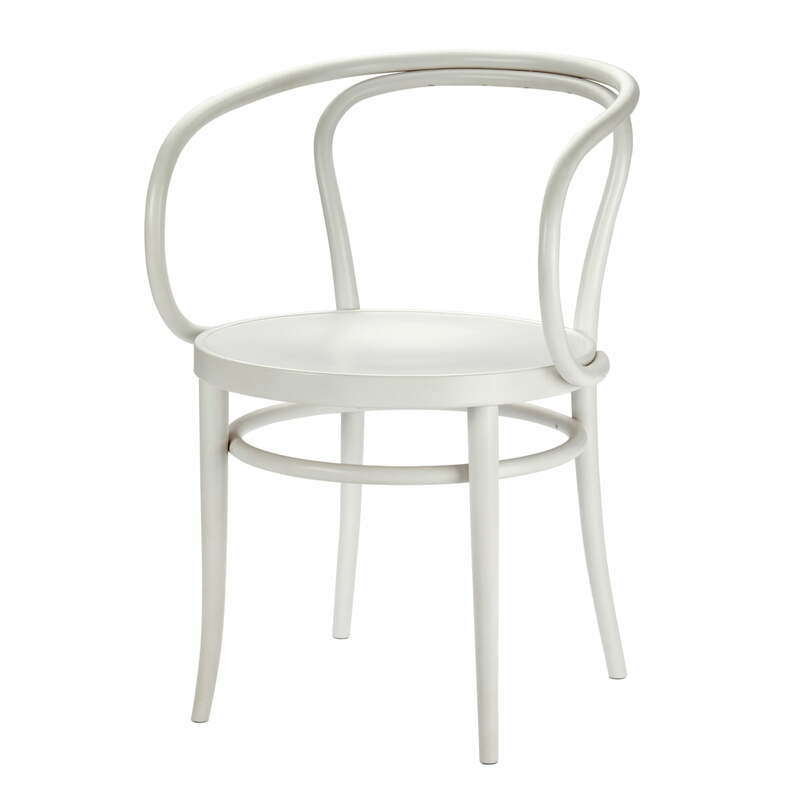 Lifestyle product image of the 209 bentwood chair by Thonet. The 209 armchair, designed by the Thonet brothers, looks great in the living room and dining table.